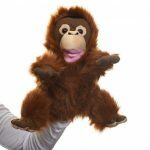 A workplace giving program provides an opportunity for you to help save the orangutan from the comfort of your office. 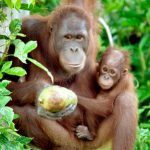 Giving regularly through your pay is one of the most cost-effective and simple ways of making a donation to Borneo Orangutan Survival Australia. Any amount helps. 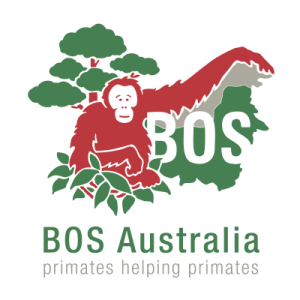 The power to make a real difference in any community is in numbers, so even a small weekly amount donated by a number of employees can go a long way towards helping BOS Australia secure the future of our most endangered ape. BOS Australia is reliant on donor support to rescue and rehabilitate orangutans displaced through habitat loss and the illegal pet trade. 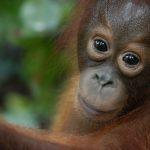 It currently cares for over 800 orangutans at its Nyaru Menteng and Wanariset/Samboja centres. The rehabilitation process is in many cases long and costly with an orphaned orangutan spending up to eight years in care. $70 can feed an infant for one month. Workplace giving provides BOS Australia with regular funding allowing us to plan. Without the need for individual receipts, it saves time and money meaning that more of your donation finds its way to the orangutans. With workplace giving, all your donations are made from your pre-tax salary which means you pay less tax on your reduced individual taxable income. As BOS Australia has Deductible Gift Recipient (DGR) status, workplace giving contributions qualify for an immediate tax deduction. You don’t need to keep tax receipts or wait to claim donations on your annual tax return. You reduce your tax with every donation. In some cases, your employer may match your donation dollar-for-dollar. Be sure to ask them. Participating in workplace giving is a great way for a company to demonstrate its social responsibility. Many workplaces even choose to go one step further and provide an employer-matched giving program. It is low cost and can be easily managed through a normal payroll system. Further information is available from the Australian Taxation Office. There are also several organisations that can assist in setting up a program, such as United Way, Good2Give and Australian Charities Fund (ACF). Check whether your employer operates a Workplace Giving Program. If the answer is yes, you can nominate BOS Australia as a cause you would like to support. Download and complete the employee registration form and send it to your pay office. If your employer doesn’t use a purpose-built online donation platform, ask them to complete the registration form and return it to BOS Australia (PO Box 3916 Mosman NSW 2088). Money gets deducted from your salary each pay period as a pre-tax amount via the usual payroll process. Your employer/workplace giving program can then either deposit donations directly to the BOS Australia bank account or forward a cheque. For direct deposit details, ask your employer to give us a call on 02 9011 5455. Your employer will provide documentation of your donations for tax purposes.